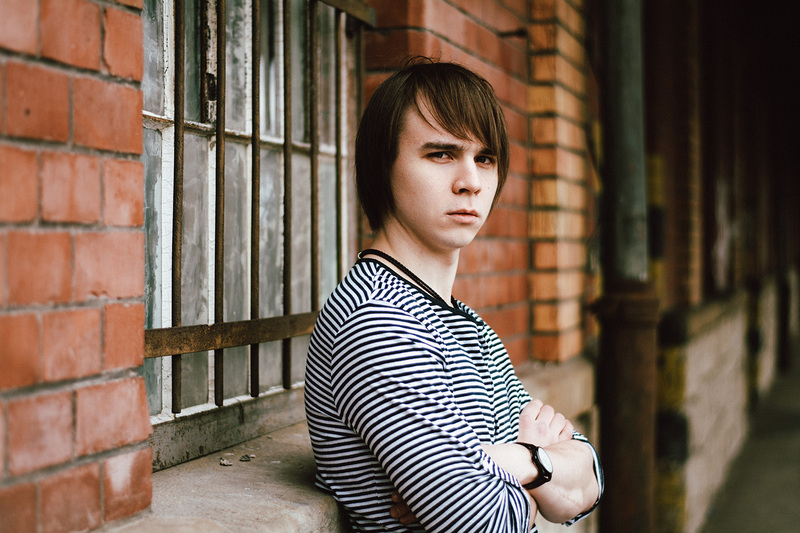 When I think about this series, the first thing that appears in my memory is steam coming from hot tea prepared by Semyon. 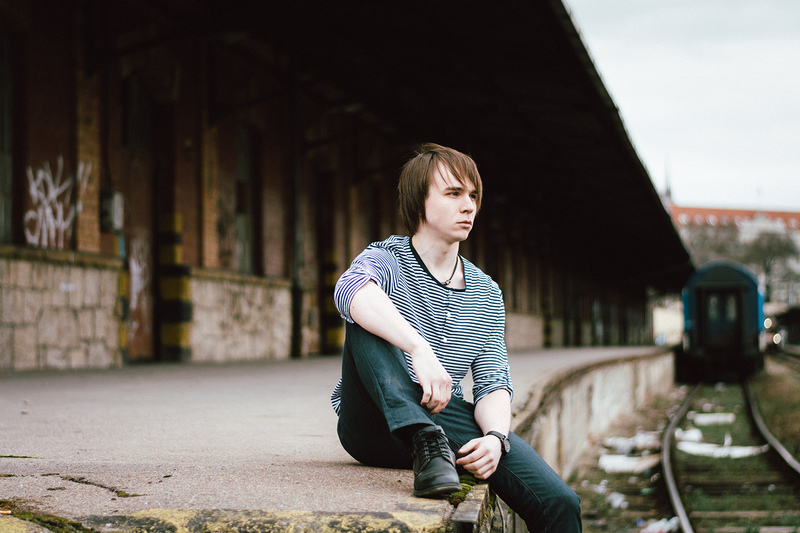 It was cold winter day and we were sitting by an old railway building chatting about everything. 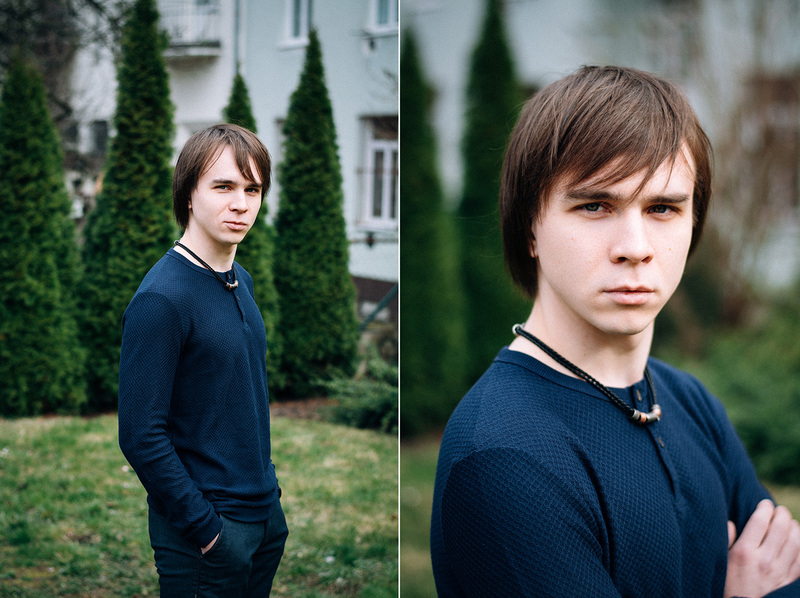 There was no doubt in my mind that this series is going to be very interesting for both of us. 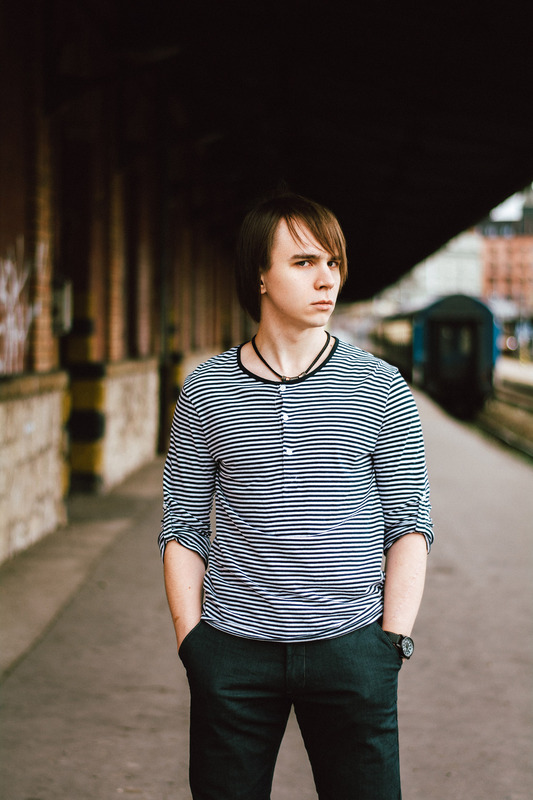 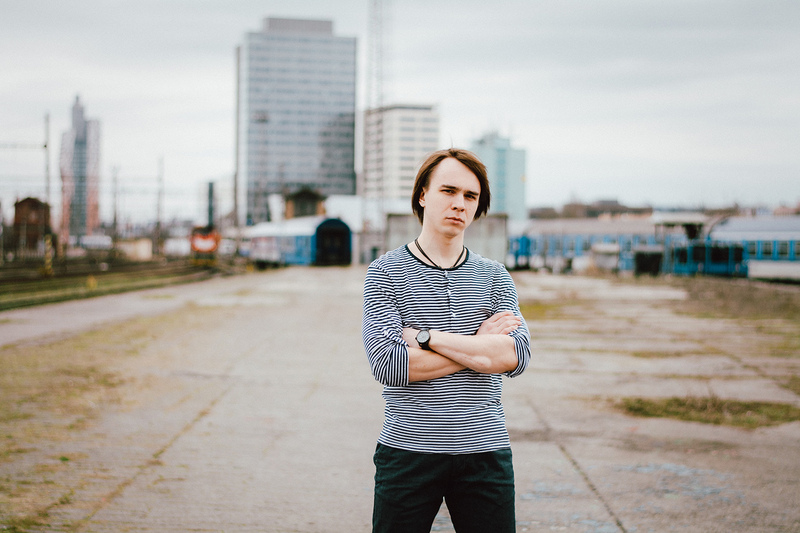 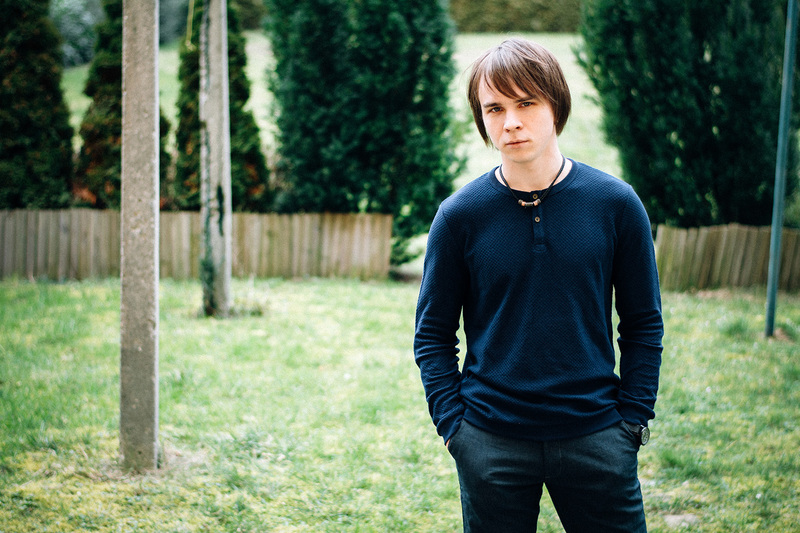 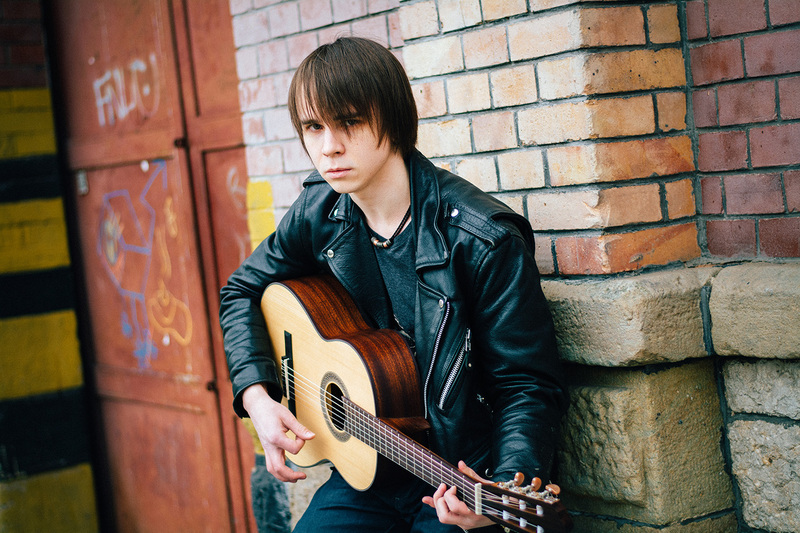 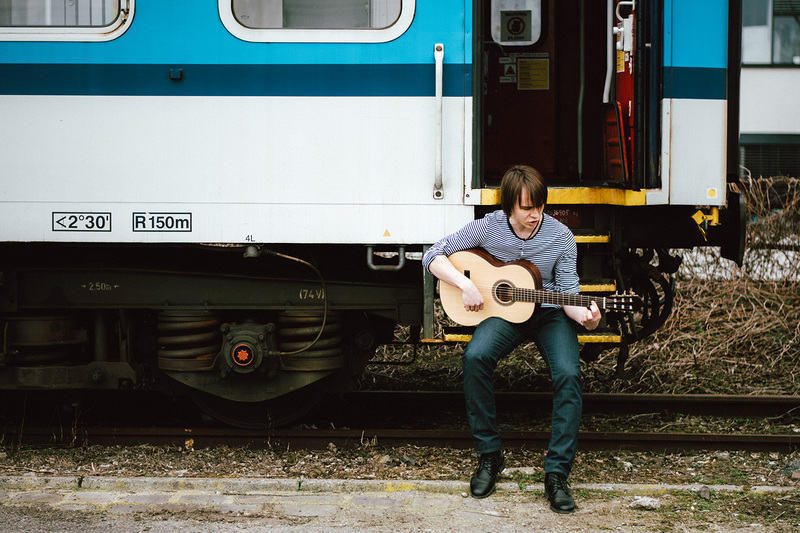 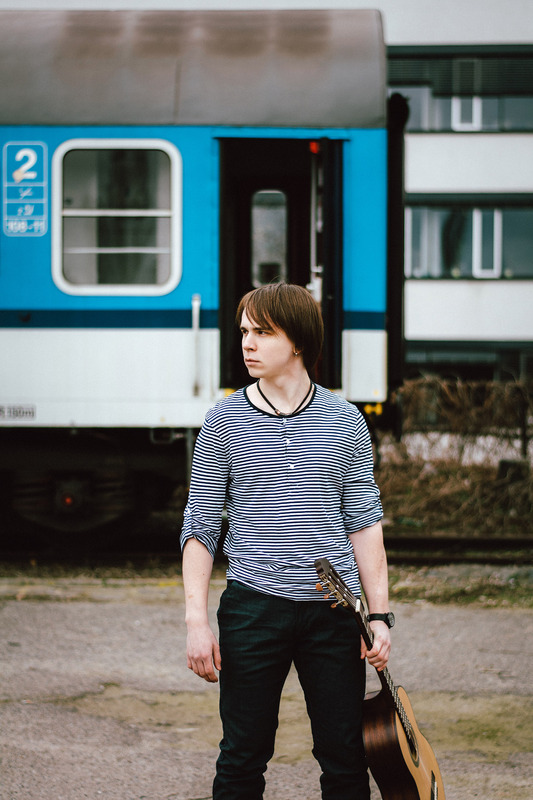 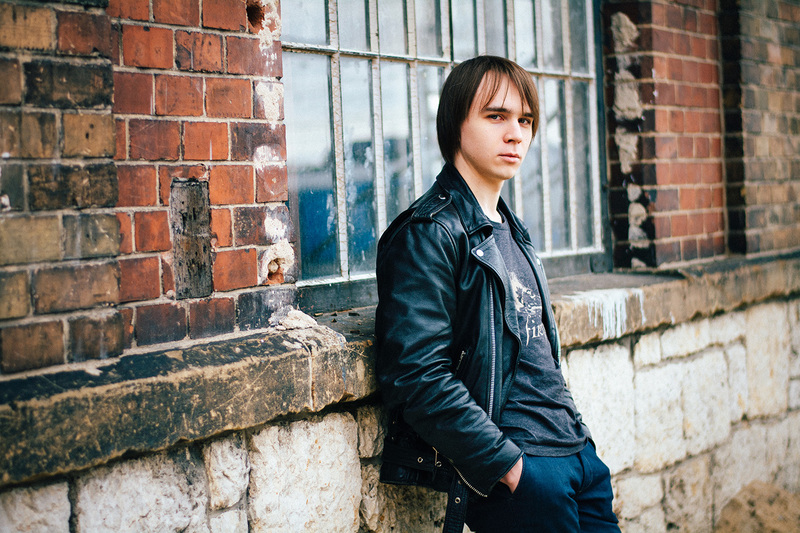 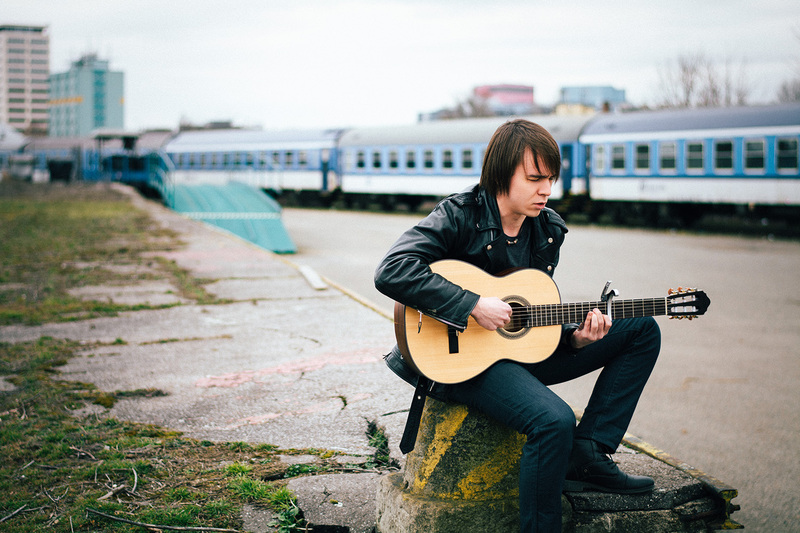 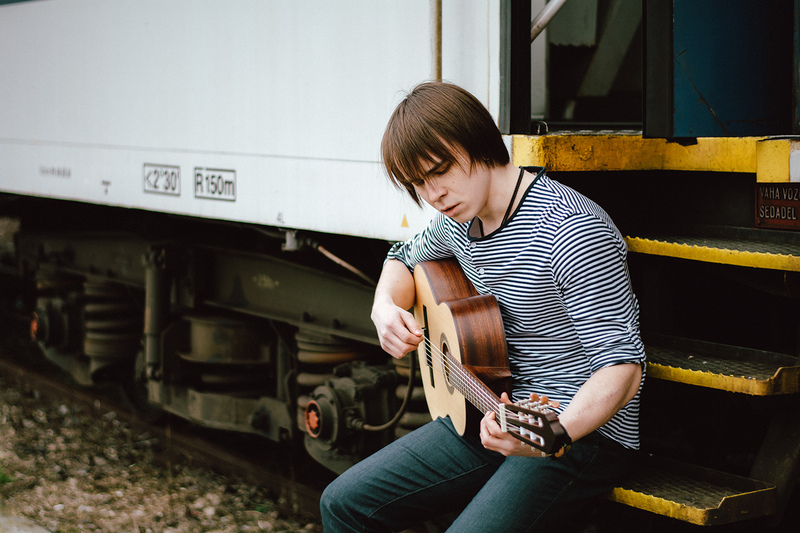 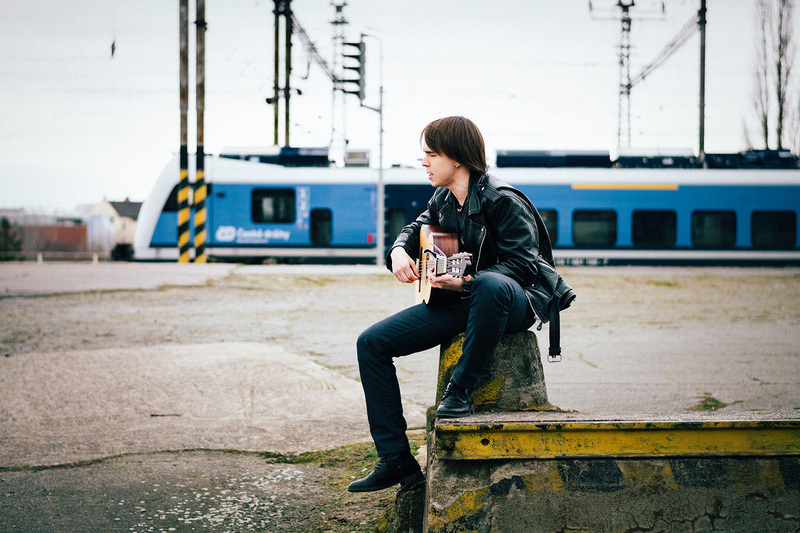 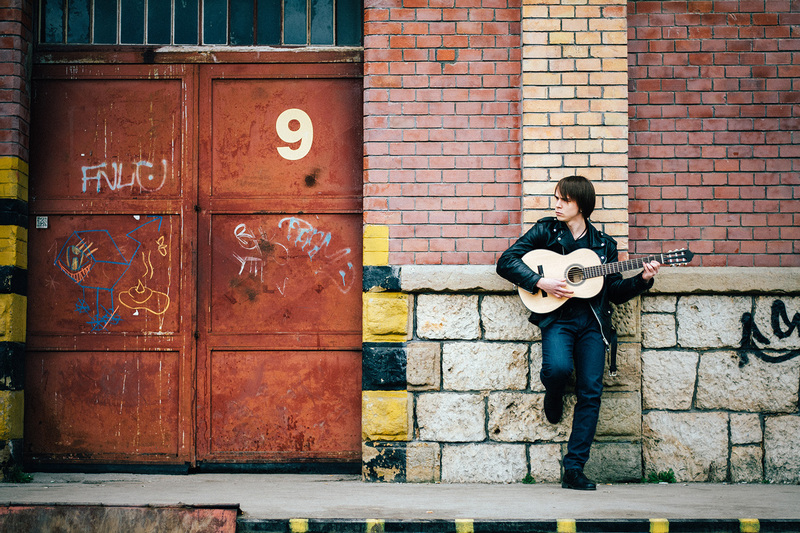 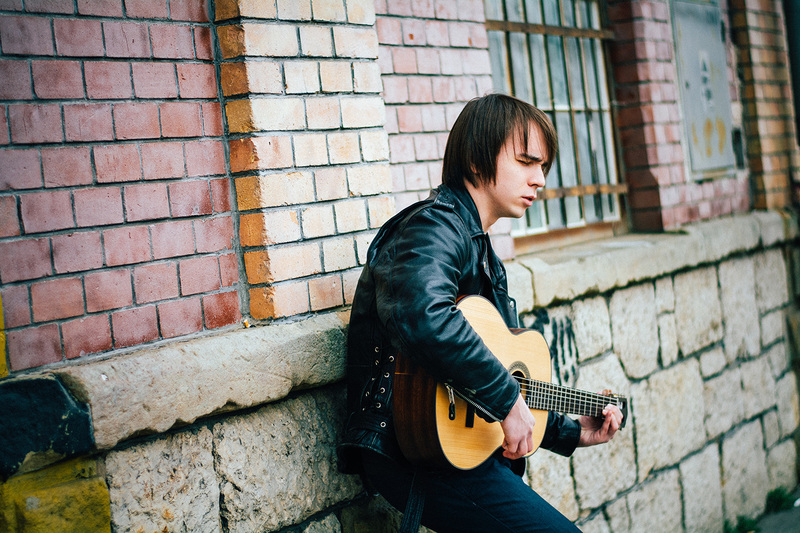 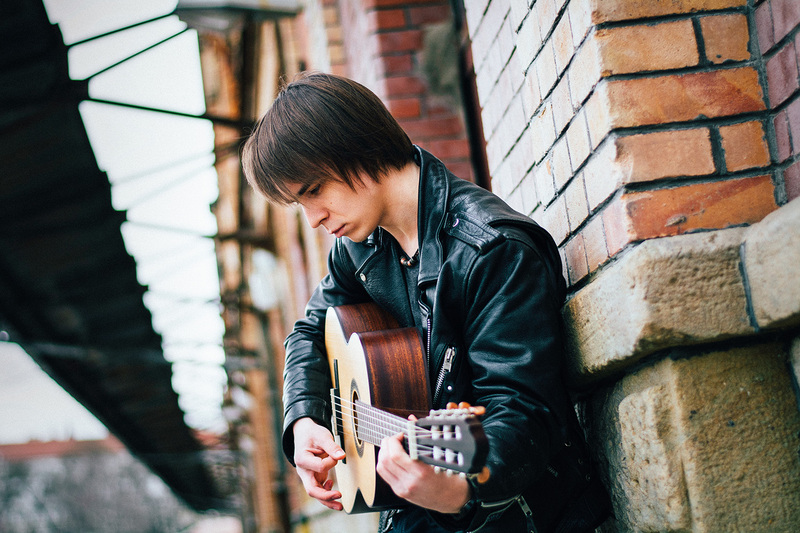 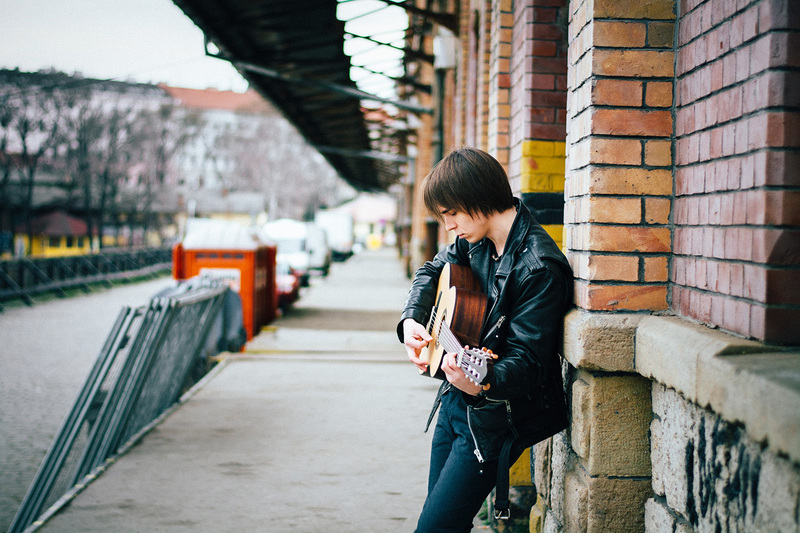 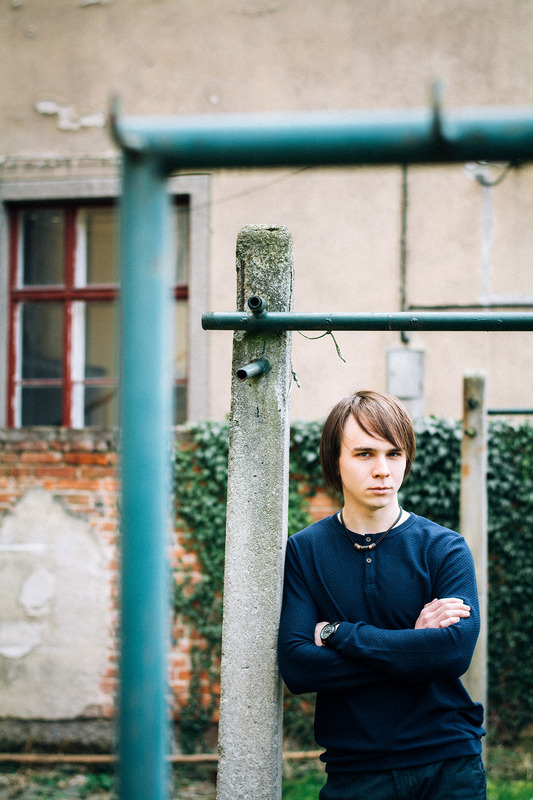 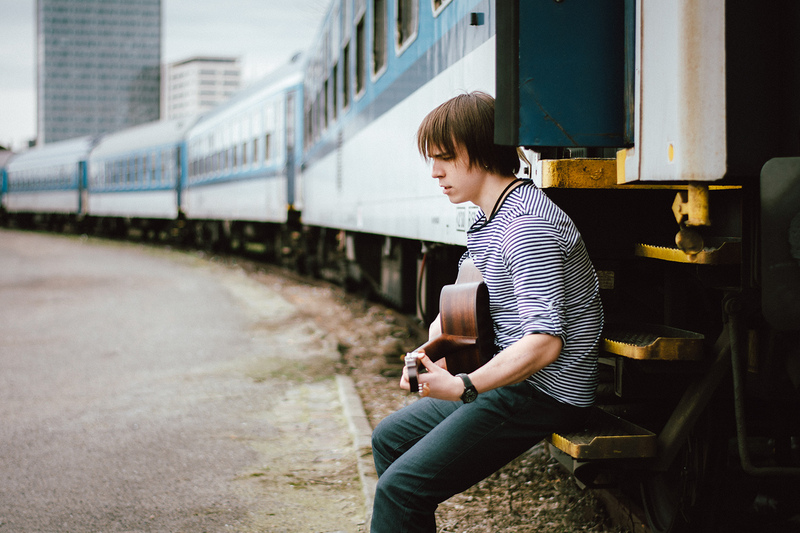 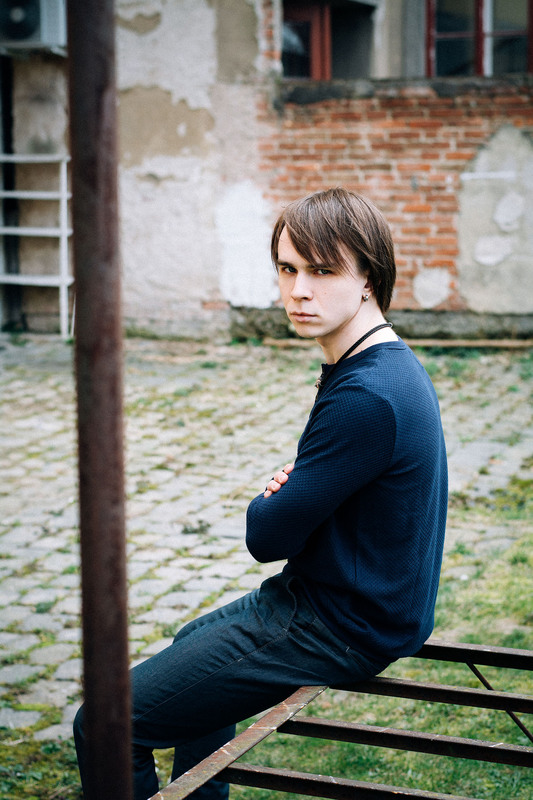 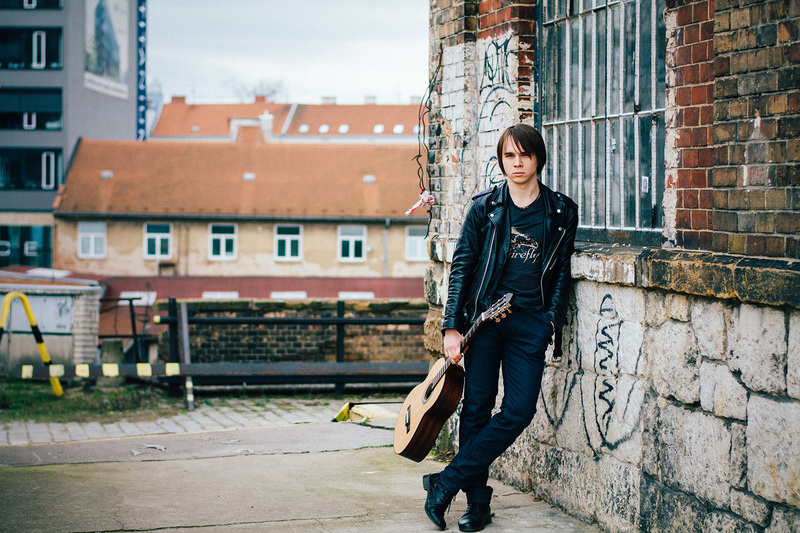 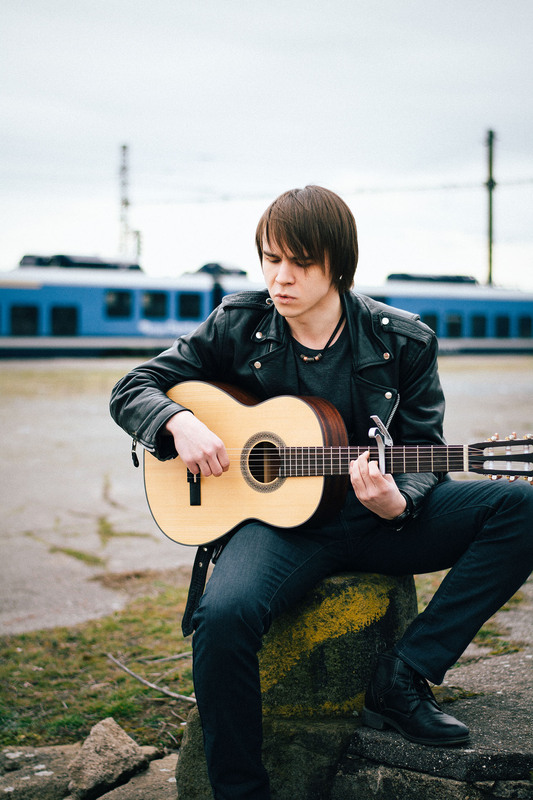 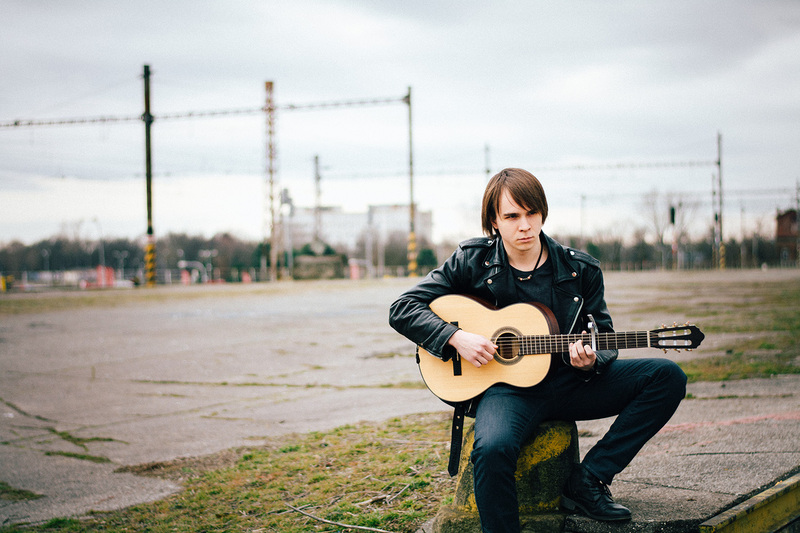 Semyon was playing a guitar and even sang a few great songs during our photoshoot. 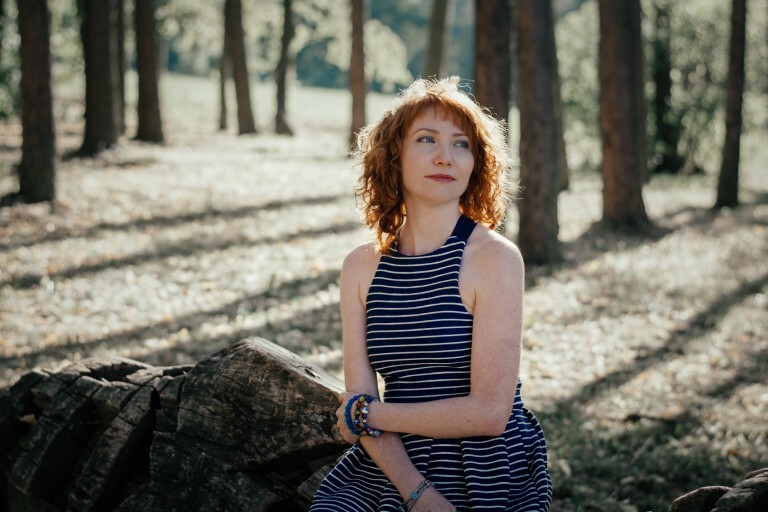 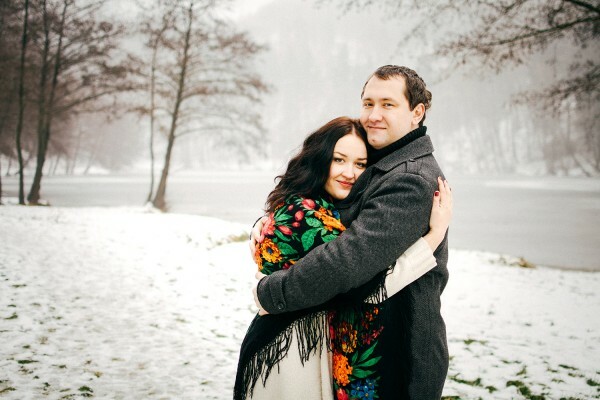 The whole process reminded me of cozy get-togethers with friends about 10 years ago, when we were hiding in our forest in Khanty-Mansiysk, talked till night, listened songs with our first mobile phones and payed no mind that sometimes it was too cold to spent so much time outside. 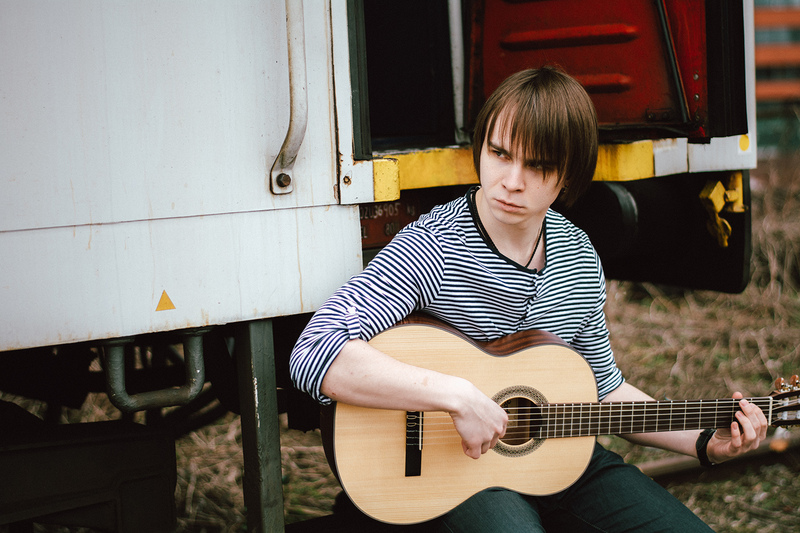 Semyon managed to create very similar atmosphere, that’s why these photographs will be always reminding me about those funny times.